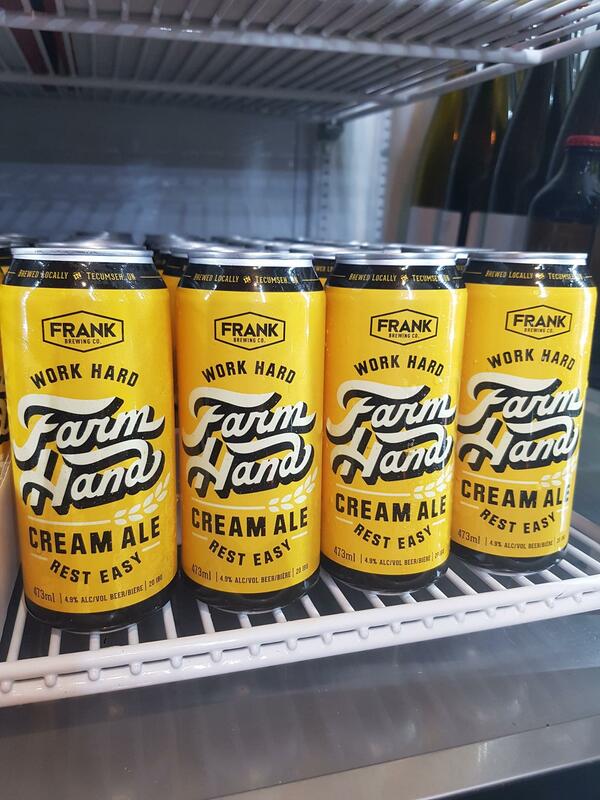 Grab some limited release cans of Frank Brewing Co.’s Farm Hand Cream Ale. Another day, another amazing beer release from a local Windsor brewery. Frank Brewing Co. has a limited release of their Farm Hand Cream Ale. It’s a crushable session beer perfect for watching the hockey game or drinking by the BBQ. Swing by the brewery, enjoy one of their signature pizzas and grab some cans while they last. Tags: Blog Breweries	beer breweries Frank Brewing Co.